While our Sportsmen and Sportswomen are still participating in the current 24th SEA Games in Thailand, let’s talk about the past SEA Games. 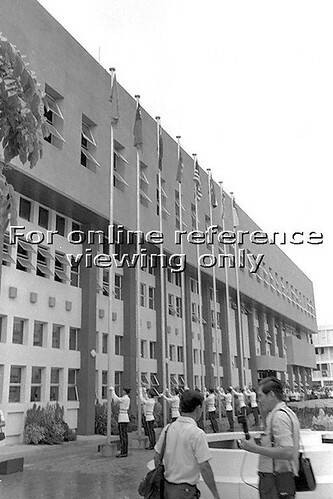 Singapore held its first and only SEAP Games in 1973. I was 11 years old then and I remember that the SEAP Games Village was in Toa Payoh. That was the 7th SEAP Games. Credit : National Philatelic Museum of Singapore. Do you know why the National Stadium was also shown in the stamps? This is because the National Stadium was opened in 1973 too! Too bad, our National Stadium is also closed in 2007 when it’s our turn to host the game. Are you aware that 4 point blocks in the Toa Payoh Town Centre was used as the games village to accomodate the sports participants. 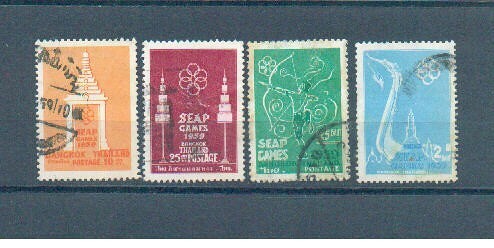 SEAP or South East Asian Peninsular Games, started off with only 6 participating countries in 1959 – Burma (Myanmar), Laos, Malaysia, Singapore, Thailand and Vietnam. The next SEA Games Singapore held was in 1983 and 1993 but it was already renamed as SEA or Southeast Asian Games since 1977. That is the reason why I said Singapore held its First and Last SEAP Games in 1973. It now has 11 participating countries if I’m not wrong. Each country will take turns to host the SEA Games by means of nation name alphabetically which removes the politics of bidding for the games, and allows the host countries ample time to plan for their turn at the games. Singapore supposed to host this year 2007 SEA Games but as the National Stadium and other facilities are not ready, so we didn’t host it this year. Note the logo still having 6 rings representing the initial 6 participating countries. How many rings are there now? 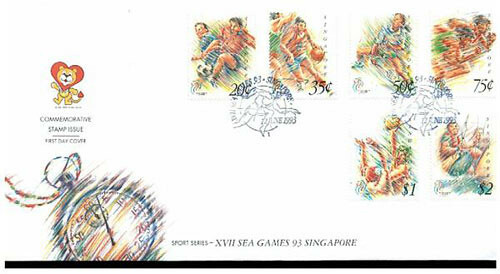 Personally, I feel the 1993 SEA Games stamps the least attractive and I love the 1973 SEAP games stamps the most. 1973 SEAP Games : Chee Swee Lee – won 2 Silver for 400m and 800m. She was a popular sportswomen in the 70s. 1983 SEA Games : Junie Sng – the famous Singapore Swimmer won 10 Gold in her last swimming competition in 1983 SEA Games before retiring. 1983 SEA Games : Ang Peng Siong – he is the other famous male swimmer and won the gold medal in the 1983 SEA Games. I remember the 1973 SEAP games well because I was one of a dozen or so ball-pickers at the football games played in Jalan Besar stadium just next to our school (Victoria School). I was in Pre-U I then. Hi Victor, I didn’t know that you were involved too. Must be a footballer to pick balls right? Hi Aiyanonya, it does look like the Toa Payoh Library. No skills or brains are required to be a ball-picker. When the ball gets out of the playing field, you just go after it, retrieve it and throw it back to the line. There are about 10 ballpickers positioned around the field. When not picking balls, they just sit and watch the game. I think we were paid $10 per game, quite easy money. I think the games were held at Farrer Park sports complex. 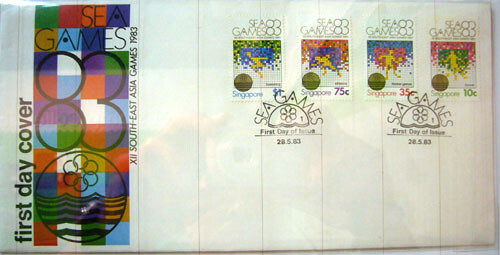 I am serious philatelist too, SEAP / SEA Games also my theme. Any idea how much 3 unused stamps valued at one dollar each are worth now? I was there too during the 1973 SEAP Games. I was with the Tanjong Katong Girls school uniform group called Rangers. We were tasked to sell the First Day Cover to spectators and participants. But I was a Pre-u one student then, too poor to buy a set for keepsake. The memorial thing was the Thailand athlete champion exchanged his Thai gold pin for my cheap $1 Ranger badge. I will have the pin today. Correction to typo: I still have the pin today. Should be worth something I think.